we are thinking about to buy and use a teechart php license. We also want to use it in Joomla CMS. 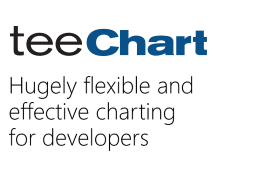 Re: TeeChart for PHP on Joomla! The current TeeChart PHP include a Joomla plugin and it should work for you in new Joomla versions without problems. Therefore I would like suggest you use the current Joomla files. Could you confirm us if it works as you expect? I think we will try out first a unregistered version on a little test project. program is successfull. Then we will use a commercial license. here in this place, if ok.